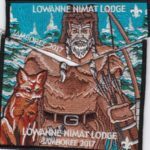 In 2015, Lowanne Nimat Lodge #219 provided over 10,000 hours of Service. 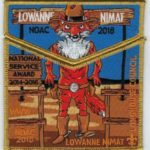 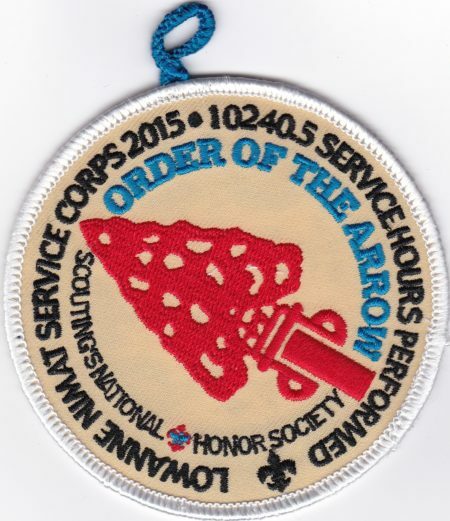 They commemorated the event with a series of 4 patches which had a common design but different border colors based on the hours of service performed by each individual. 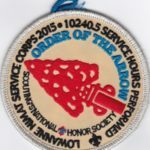 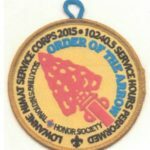 The first, base award had a white border and was given to those who had between 0 and 49 hours of service. 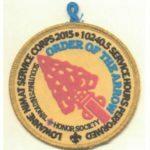 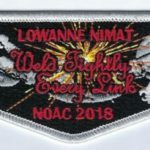 There were reportedly 235 of these patches issued.